While visiting Hauser & Wirth’s “Sensitive Geometries: Brazil 1950s – 1980s,” I thought about the development of the “concrete” aesthetic, as outlined by Van Doesburg in 1930, within the particular national and historical context that was the exhibition’s focus. As it so happened, I had also recently been reading around in Brazilian “concrete poetry” from the same period (1950s through ’70s), and so I also thought about what kind of connection might exist between these divergent but seemingly related “concrete” movements in Brazilian poetry and visual arts: did they both link back to the De Stijl group, and did the artists and writers ever work together or borrow influence from each other? 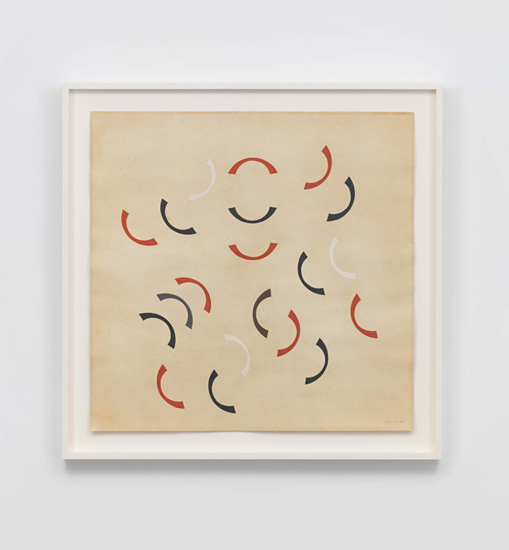 At the very least, I noted, there were clearly some formal affinities — between, for example, Augusto de Campos’ “sem um numero” (“without a number”) and Lothar Charoux’s Horizontals, 1960, or Composição, 1964. Augusto de Campos, “sem um numero.” Published in Noigandres, vol. 4, 1958. Beyond the appearance of formal rhymes between pictorial and linguistic compositions (e.g. 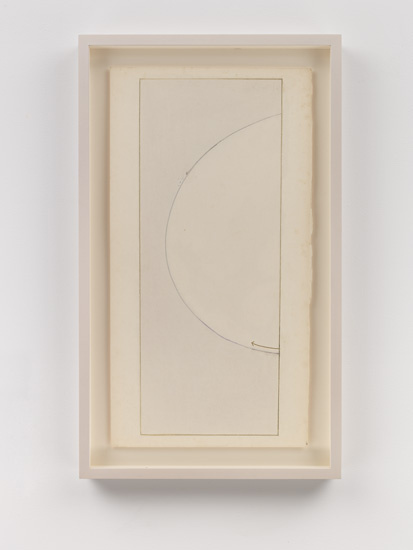 between “concrete art” and “concrete poetry”) I also noticed the occasional intrusion of language or language elements into the works of several artists in the “Sensitive Geometries” show—as in Mira Schendel’s Untitled, 1970, or Anna Maria Maiolino’s Capítulo II, from her Mapas Mentais series, 1976 (below). Maiolino used English rather than Portuguese in the “Mapas Mentais” as she was living in New York City in the 1970s. Maiolino stated in an interview with Helena Tatay that she was also writing poems at this time. 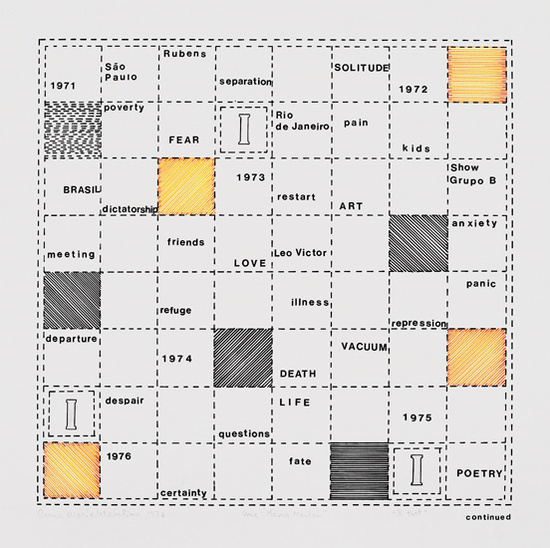 Conversely, one could say that pictorial elements such as shape, line, and color trespass in the linguistic domain of concrete poems. Setting aside metaphors of contamination and invasion, we could talk instead about mutual influence, borrowing, and conversation across so-called “mediums.” And while it’s important how we characterize the relationship between concrete poetry and concrete art, it seems more urgent that we make an effort to characterize it at all. To that end, some of the back-story may be illuminating. 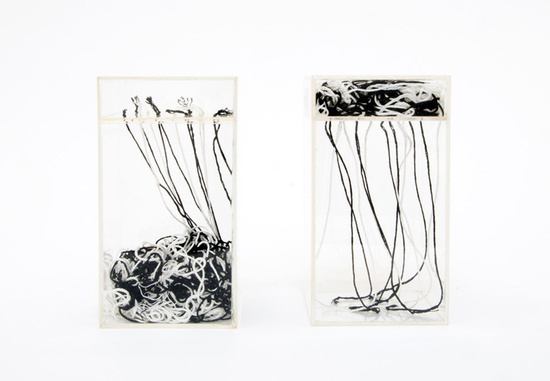 “We call ‘Concrete Art’ works of art which are created according to a technique and laws which are entirely appropriate to them, without taking external support from experiential nature or from its transformation, that is to say, without the intervention of a process of abstraction” (trans. Peter Selz, emphasis mine). The choice of Swiss artist Max Bill should be given an accurate attention. 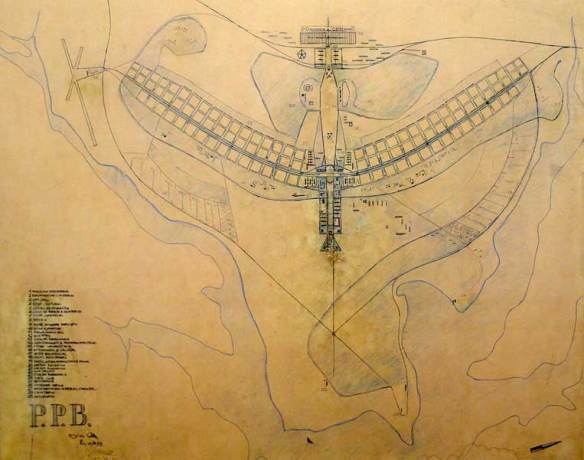 His participation in the first edition of the São Paulo Biennial in 1951, where he was granted the first prize for international sculpture, has been constantly used by official historiography to build a predominantly Eurocentric and linear narrative in a cause and effect logic trapping Brazilian art in an ever dependent colonized position. Rather than formulating a complex multi directional and layered panorama of long-term cultural exchange that could contribute to challenge hegemonic and dominant narratives, the structure within the show reinforces prejudicial ideas such as origin, influence, and historical debt. Keeping in mind the complicated relationship of center to periphery and vice versa, the Biennale curators still recognize Bill’s impact on Brazilian art. His impact on Brazilian poetry is a less well-known but similarly complicated affair, since Bill influenced the the Brazilian concrete poets both directly and indirectly, through his pupil and secretary at the Hochschule für Gestaltung in Ulm, the Swiss-Bolivian poet Eugen Gomringer. As Mary Ellen Solt relates in her Concrete Poetry: A World View, “In 1952… three poets in São Paulo, Brazil—Haroldo de Campos, Augusto de Campos and Decio Pignatari—formed a group for which they took the name Noigandres from Ezra Pound’s Cantos… They began publishing a magazine of the same name, and within the year had begun correspondence with Pound and had established contact with concrete painters and sculptors in São Paulo and with musicians of the avant-garde.” Pignatari then met Eugen Gomringer while traveling in Ulm in 1955, and the two began planning an international anthology of “concrete poetry.” Solt notes that Gomringer wrote an introductory essay, titled “Concrete Poetry,” for the never-published anthology, and in a letter to Pignatari he stated that he had considered using the name “concrete” for his own poems before deciding to call them “constellations” in a book he published in 1953. Gomringer also described his poems as “object[s] containing thought but made concrete through play-activity” in his 1954 manifesto “from line to constellation,” and in an essay from 1958 on Max Bill, Gomringer acknowledges Bill’s influence on his own poetics, claiming that his use of the term “concrete poetry” was inspired by Bill’s essays on concrete art. This isn’t, however, to say that the name wasn’t kicking around before Gomringer began to use it. 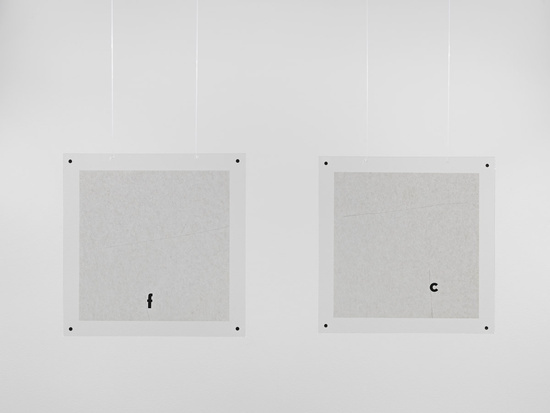 As Solt points out, the Swedish artist and poet Öyvind Fahlström had published a “Manifesto for Concrete Poetry” as early as 1953, and Augusto de Campos had titled one of his poems “Poesia Concreta” in the 1955 Noigandres 2. 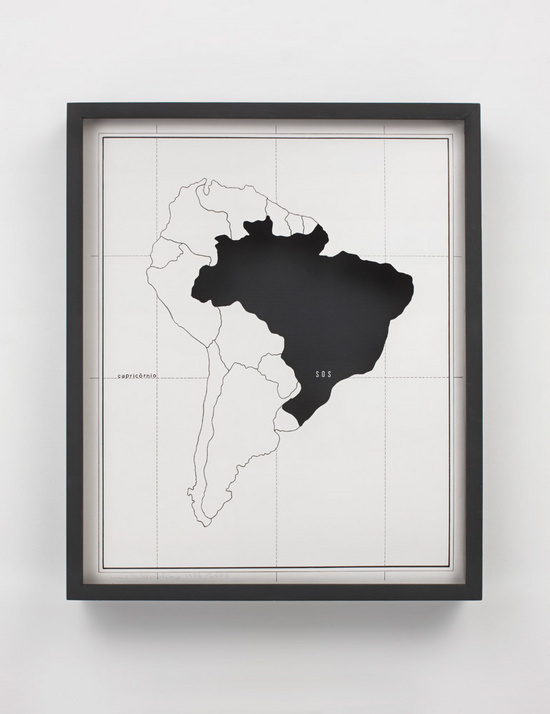 What’s more essential to note is that it was under the aegis of “concrete poetry” that the Brazilian poets grew in national stature, as they began performing their works in various venues in São Paulo and participating in public exhibitions—most notably, in the “National Exposition of Concrete Art” at the Museum of Modern Art in São Paulo in 1956. Claus Clüver gives a breakdown of the participants in this landmark exhibition of concrete art and poetry (a list he gleaned from an advertisement printed in December 1956). 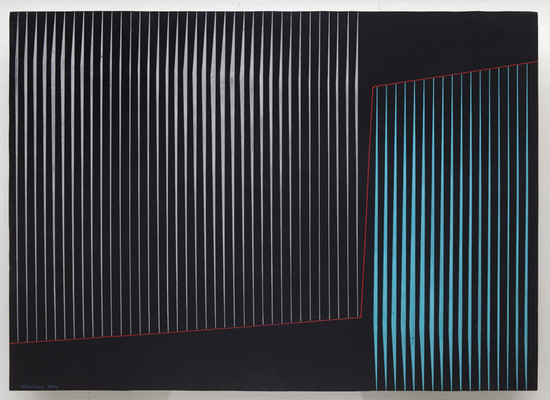 Of the twelve artists whose works are now on view at Hauser & Wirth, seven showed in the 1956 National Exposition, including: João José da Silva Costa, Rubem Mauro Ludolf, Franz Weissmann, Geraldo de Barros, Lothar Charoux, Waldemar Cordeiro, and Hermelindo Fiaminghi. The “Concrete Poets” in the exhibition included Augusto de Campos, Haroldo de Campos, and Décio Pignatari, as well as Ronaldo Azeredo, Ferreira Gullar, and Wlademir Dias Pino. For the Concretists, the National Exposition of 1956 was both a moment of convergence and rupture between two distinct groups that had emerged out of distinctive scenes in São Paulo and Rio de Janeiro: the Groupa Ruptura in São Paulo (the “Paulistas”) and Grupo Frente in Rio (the “Cariocas”) — or, as they are also sometimes called, the Concretists and Neo-Concretists. According to Irene Small, with the 1957 publication of Haroldo de Campos’s “From the Phenomenology of Composition to the Mathematics of Composition” (for the Paulistas) and Ferreira Gullar, Oliveira Bastos and Reynaldo Jardim’s “Concrete Poetry: Intuitive Experience” (for the Cariocas), “the two groups split, the Carioca (Rio) group calling the Paulista (São Paulo) poets and artists excessively rational and mechanistic, [and] the Paulistas complaining of the Cariocas’s subjectivism and lack of rigor.” The Paulista’s 1958 “Pilot Plan for Concrete Poetry” (discussed above), which referenced Lúcio Costa’s “pilot plan” for the planned capital, Brasília, further defined their differences, as did Ferreira Gullar’s response, “The Neoconcrete Manifesto,” from 1959. “Sensitive Geometries” homes in on this moment of cultural and artistic foment and then follows it through to its reverberations in the work of a later generation of Brazilian artists—namely, in the work of Anna Maria Maiolino and Paulo Roberto Leal, both of whom were born 30+ years after the oldest painters in the show (Paulo Wernck (1907 – 1987), Franz Weissmann (1911 – 2005), and Lothar Charoux (1912 – 1987)) and who began working as artists when the storm of manifestos had largely subsided, and when perceived differences between those working in Rio and in São Paulo were likely eclipsed by the more urgent political situation in Brazil, beginning with the military junta in ’64 and continuing through the ’60s and ’70s, with the country governed by military dictatorship. If Maiolino’s work “suggest[s] formal and conceptual parallels between generations and movements, from the Concrete and Neo-Concrete to contemporary art,” such that Maiolino appears to “[n]egotiat[e] a practice that evolves from a culmination of Brazilian traditions” (Hauser & Wirth), Mira Schendel’s work equally figures between and outside the polarities of Concrete and Neo-Concrete. Though Schendel is not of the later, 1940s generation, her work deals with geometric form, but in a way that sidesteps programmatic concerns—about the analytic versus the organic, for example, or the concrete versus the abstract—in favor of something more like sympathy and humor, if you’ll forgive my decidedly unanalytic language. Schendel is the subject of a retrospective at the Tate, 25 Sept. 2013 – 19 Jan. 2014. Beginning with Van Doesburg’s manifesto which called for “an effort for absolute clarity,” and extending to Bill’s manifesto which opposed (albeit, dialectically) the concrete to the abstract, stating that “Abstract ideas which previously only existed in the mind are made visible in a concrete form,” the original sense of the “concrete” in Concrete Art seems to have been a kind of density, a material resistance evoking the industrial mixture that was so central to post-war architecture—particularly the béton brut (“raw concrete”) or Brutalist architecture of Le Corbusier. But whereas the French béton sticks close to this sense of the industrial material (the Dictionnaire d’autrefois gives its etymology as deriving from bitumen) the French concret, theEnglish concrete, the German konkret, and the Portuguese concreto all derive from the Latin concrēscĕre, meaning “to grow together,” as in the still-current word concrescence. In fact, the OED notes that one of the earliest senses of the concrete was of the continuous, the concrete as opposed to the discrete. 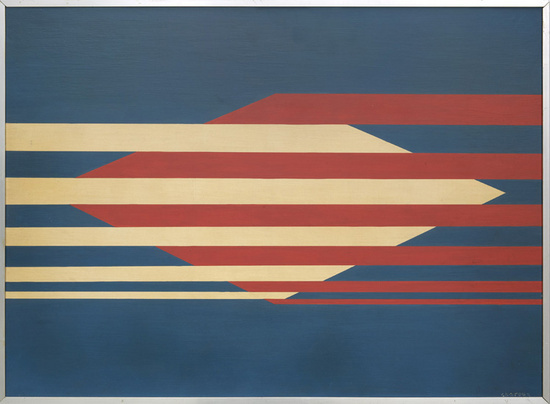 It is in the work of Schendel, Maiolino, and Leal that we see a movement towards this other sense of “concrete,” which was perhaps always latent, even in the movement’s most polemical, divisive moments. 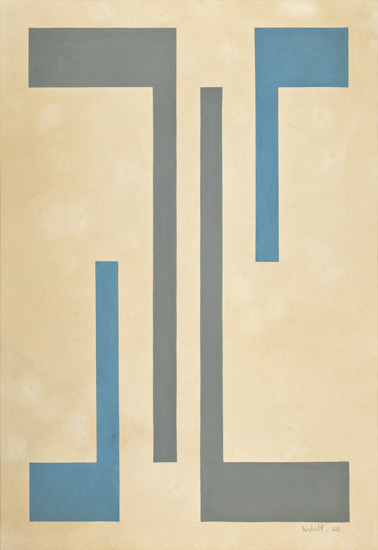 2 The manifesto was signed by Van Doesburg, along with painters Otto Carlsund, Jean Hélion, Leon Tutundjian, and Marcel Wantz. 3 Dietrich Scheunemann notes in Avant-garde/New-avant-garde, the German poet Max Bense defines concrete poetry in similar terms, writing that “everything concrete is nothing but itself.” (Bense qtd. in Mary Ellen Solt, Concrete Poetry: A World View).